Portland Cocktail Week: October 21 – 25. Be there! We recently had the opportunity to chat with our good friend Lindsey Johnson who is the co-founder of Portland Cocktail Week. 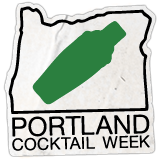 In case you aren’t aware, Portland Cocktail Week, or PDXCW as it is lovingly referred to, was created by the industry for the industry as a place to gather and learn together. Read what she has to say about PDXCW and why every bartender should be there. SS: Tell us a bit about yourself. LJ: I’m Lindsey Johnson the co-founder of Lush Life Productions, Portland Cocktail Week and Camp Runamok. My job is to help proliferate the craft cocktail movement and promote the amazing work being done in the bar business. SS: You’re the founder of Portland Cocktail Week (PDXCW). There are so many industry-orientated conferences, why did you decide to start up another? LJ: Portland Cocktail Week is the only conference built entirely for the trade. Each of our events- whether they’re a seminar, a party or experience- is crafted with bartenders in mind. Since they’re our only audience, we’re able to build programming at the highest level. Our attendees are BAR and Bar Smarts Grads – not to mention Tales veterans, and they’re looking for masters-level programming. In Portland, we’re able to provide that. Our other goal for Portland Cocktail Week is community building. By putting 120 of the country’s best and brightest bartenders up in the Jupiter Hotel for all five days, we’re able to foster a cross-country conversation and connect like-minded bartenders from nearly every state in the country. SS: How does PDXCW differ from the other conferences?